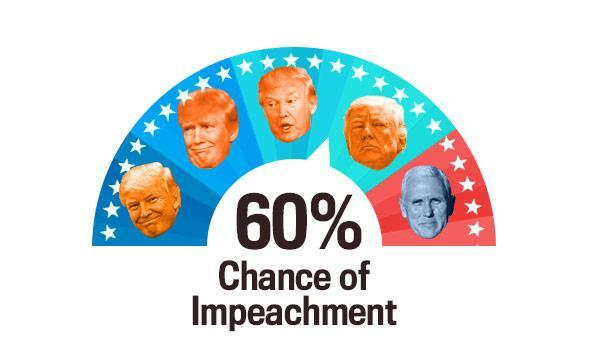 Trump impeachment chances: Don Jr. WikiLeaks edition. Donald Trump Jr. at the White House on April 17. While Trump Jr. and the WikiLeaks account do not appear to have discussed the provenance of the hacked Clinton-related emails that the site began publishing in July 2016, the younger Trump is known to have been told that June that the Russian government supported his father’s campaign. June is also the month that public reports first suggested that Russia had committed hacking attacks against figures in the Democratic Party; before that, in April, a Trump foreign policy adviser was told that Russia possessed “thousands of emails” that constituted “dirt” on Clinton. WikiLeaks has denied that it received hacked emails from Russian operatives, but not many people believe that claim; Donald Trump’s own CIA director doesn’t, for one. The Atlantic reports, moreover, that Trump Jr. informed campaign chairman Steve Bannon, campaign manager Kellyanne Conway, campaign digital media director Brad Parscale, and campaign adviser Jared Kushner of his contact with WikiLeaks in Sept. 2016. Less than a month later, the campaign indignantly denied that it had had any contact with the organization. Today’s meter level is unchanged, but in an very eyebrows-raised kind of way. Wikileaks didn’t respond to that message, but on October 12, 2016, the account again messaged Trump Jr. “Hey Donald, great to see you and your dad talking about our publications,” Wikileaks wrote. 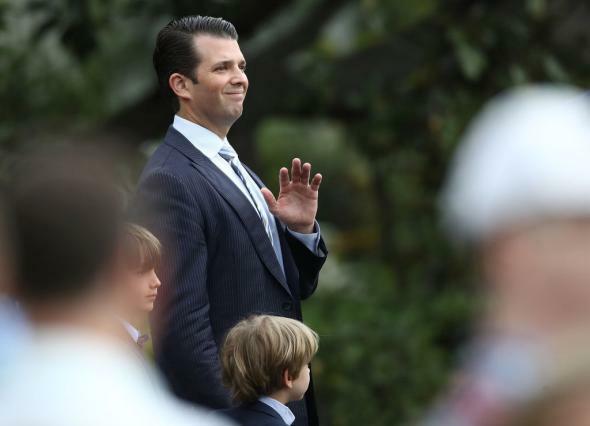 (At a rally on October 10, Donald Trump had proclaimed, “I love Wikileaks!”) “Strongly suggest your dad tweets this link if he mentions us,” Wikileaks went on, pointing Trump Jr. to the link wlsearch.tk, which it said would help Trump’s followers dig through the trove of stolen documents and find stories. “There’s many great stories the press are missing and we’re sure some of your follows [sic] will find it,” Wikileaks went on. “Btw we just released Podesta Emails Part 4.” Trump Jr. did not respond to this message, but two days later, on October 14, 2016, he tweeted out the link Wikileaks had provided him. “For those who have the time to read about all the corruption and hypocrisy all the @wikileaks emails are right here: http://wlsearch.tk/,” he wrote.